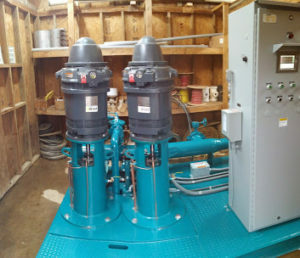 Pump stations should be efficient and sized to provide adequate flow and pressure. They should be equipped with control systems that protect distribution piping, provide for emergency shutdown necessitated by line breaks, and allow maximum system scheduling flexibility. Variable frequency drive (VFD) pumping systems should be considered if dramatically variable flow rates are required, if electrical transients (such spikes and surges) are infrequent, and if the superintendent has access to qualified technical support. The design operating pressure must account for peak-use times and supply-line pressures at final buildout for the entire system. Maintain the air-relief and vacuum-breaker valves by using hydraulic pressure-sustaining values. 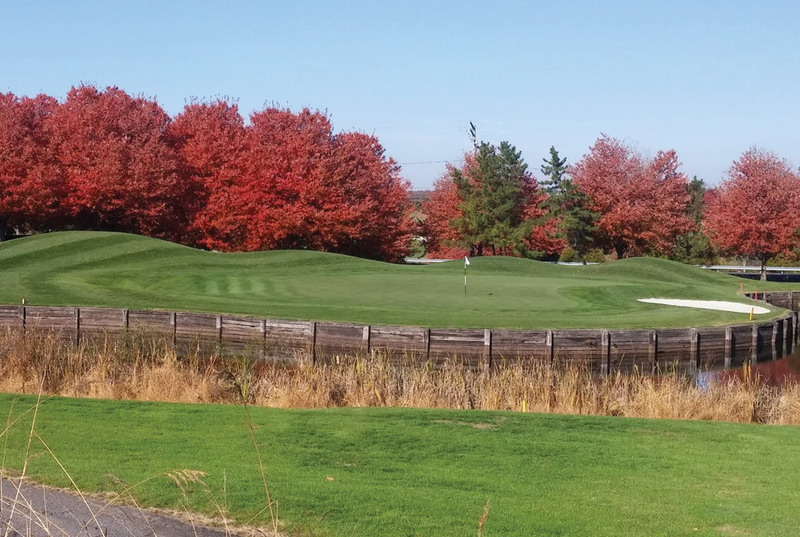 Install VFD systems to lengthen the life of older pipes and fittings until the golf course can afford a new irrigation system. An irrigation system should also have high- and low-pressure sensors that shut down the system in case of breaks and malfunctions. Pumps should be sized to provide adequate flow and pressure. Pumps should be equipped with control systems to protect distribution piping. Pump station at Cattail Creek Country Club. Photo credit: Chris Harriman. Pump station at Baltimore Country Club. Photo credit: Mark Jones.